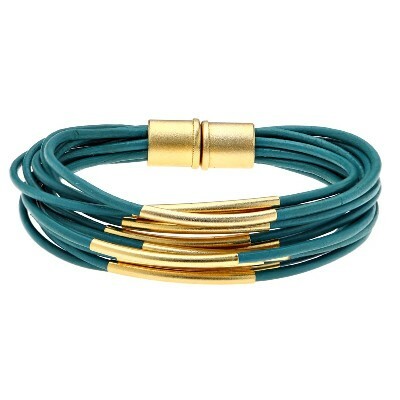 Find out where to find what you're looking for in my Tel Aviv shopping Guide! And if you're rushed for time, and prefer to shop online, visit the best online store for all Israeli products. 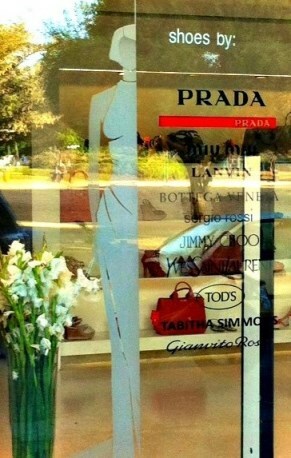 I love Tel Aviv shopping! 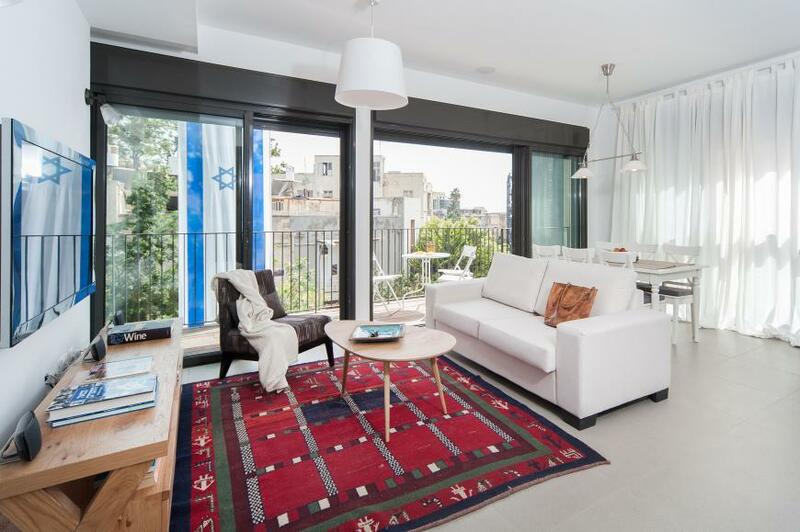 Whether I'm buying gifts from Israel for family in France, a birthday present for a friend or just browsing for myself, I've become an expert at knowing where to find the perfect item in Tel Aviv. 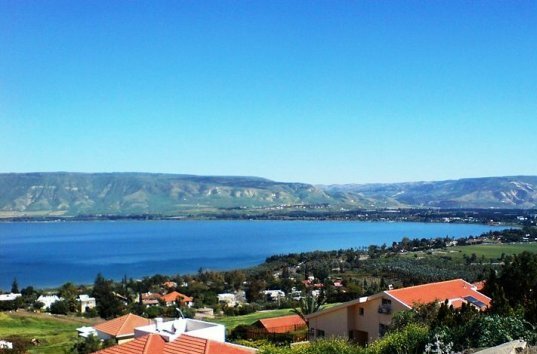 Browse around for local souvenirs, hand-made Judaica, Christian pilgrim trinkets, ethnic crafts and lots, lots more! 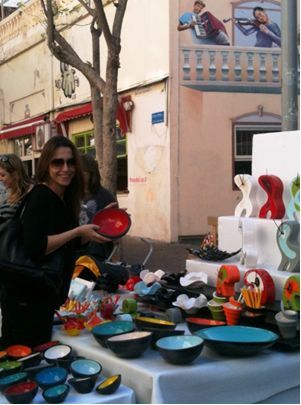 Walking around Tel Aviv’s outdoor markets is a great way to meet Israelis and soak up local culture while you shop. 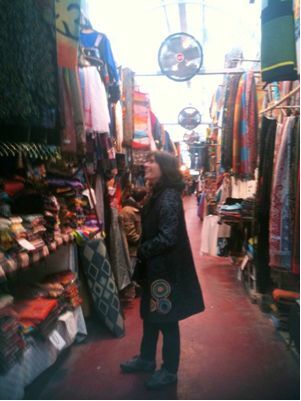 You can catch the sights, sounds, colors and often the aromas while strolling between the outdoor stalls. A note about bargaining in the Tel Aviv markets: You can try bargaining for goods, but it’s not mandatory and be willing to take no for an answer. If you choose to haggle, don’t ask for more than a ten, or at most, a twenty percent discount. 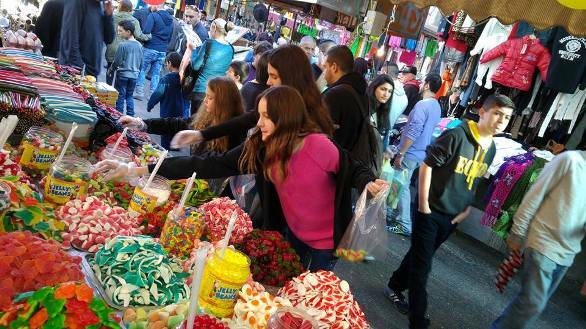 Nachalat Binyamin is a vivid, open-air bazaar in Tel Aviv that's open twice a week, on Tuesdays and Fridays. You can find handmade crafts, jewelry, original Judaica and much more. 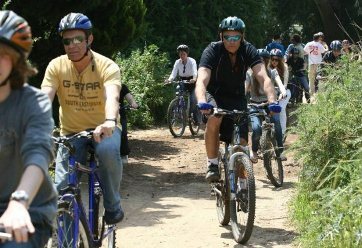 The streets are full of Israelis and tourists wandering among the stands, sipping coffee at the outdoor cafes or drinking at the trendy bars in the evening. 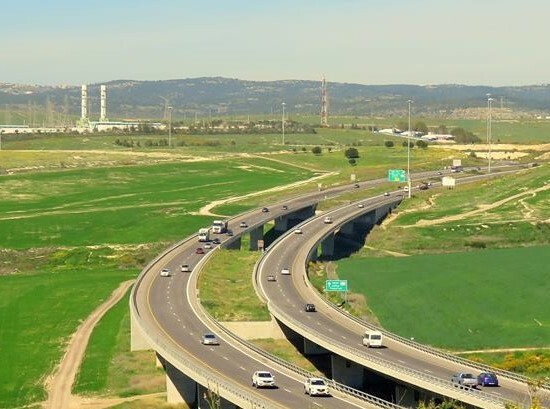 While you browse, you will may catch one of the many street performances, pantomime and musicians that perform in Nahalat Binyamin between April and October. 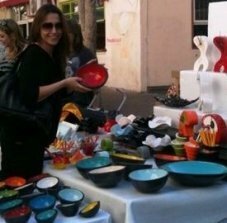 This outdoor market is for a perfect place to shop for original Israeli presents and souvenirs to bring back home. 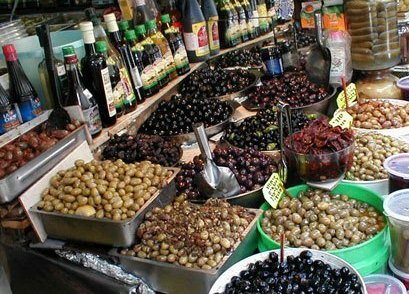 Don't miss the Carmel Market, known as ‘Shuk HaCarmel.' 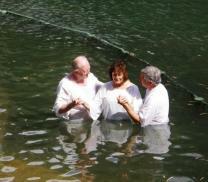 It is just a few minutes walking distance from Nachalat Binyamin. I love the 'hamsa' jewelry and trinkets. A hamsa is the magical hand that wards off the 'evil eye. 'Hamsa means five in Arabic for the five fingers in the magic hand. 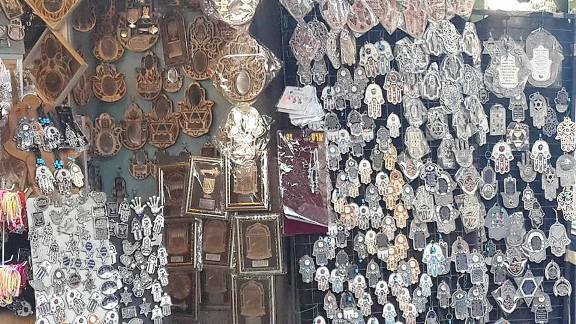 Israelis have hamsa decorations everywhere; hanging on their walls, keychains, in their cars and as part of their jewelery. You might prefer to buy authentic Israeli hamsa decorations and jewelery from the comfort of your home. The Carmel Market is also the main fresh foods market in the city. ...taste their crisp burekas hot from the oven, buy the most delicate Bulgarian salty cheese or the juiciest watermelons, often letting you taste a sample before you buy. You can find fresh fruits, vegetables, spices, cheeses, fish, meat and bakery goods, halva, and more. As you shop and browse around, stop for a bite at the local food stands and restaurants. The food at the Carmel market is outstandingly fresh and tasty. 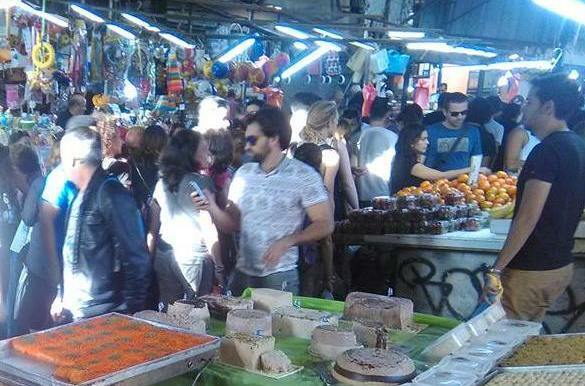 Perhaps its a little off the traditional tourist track for Tel Aviv shopping, but Shuk Levinsky, the spice market well worth the 10 minute walk. Israel’s best chefs and restaurants choose their freshest spices, olivs and pickles and other specialties at Levinsky market. Even if you don’t care to try out a new spice, you can buy from a delicious variety of nuts, seeds, grains or dried fruit. As always, we recommend stopping at one of the local bakeries to enjoy a local pastry with ‘Tay Nana’ - fresh mint tea or a cardamom flavored Turkish coffee. Try Penso Bakery for the crunchiest 'burekas' - non-sweet pastries stuffed with cheese, spinach and mushroom. Read more on where to eat the best burekas in Tel Aviv. Walk or hop on a bus or a taxi to Shuk Hapishpeshim, Tel Aviv’s traditional flea market located in Old Jaffa. Getting there is easiest from Jaffa's clock square - turn left after leaving the square to the south. You can find second-hand clothes, shoes, antiques, souvenirs and cheap Judaica and Christian pilgrim trinkets. Shops sell everything from expensive, refurbished antiques and art deco furniture to junk from a grandmother’s attic. 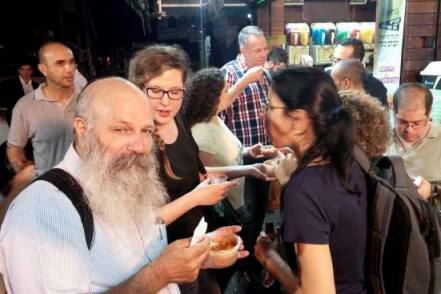 The Tel Aviv - Jaffa Flea Market has become a popular place to visit at nights too, and especially on Thursday nights from 9 PM to the wee hours of the morning. Between April and October, there are fun outdoor musicians performing at night, alongside trendy bars and restaurants and the market booths. 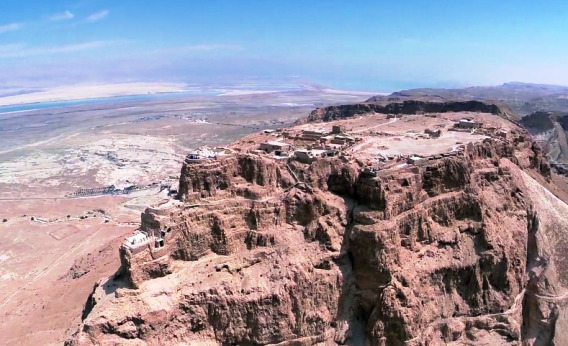 Make sure to visit HaTahana which means ‘ the Station’ in Hebrew. 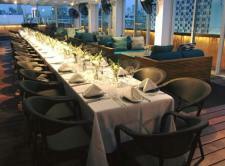 It is located in the south of Tel Aviv near Charles Clor Park and Alma Beach. Hatachana is built on the original and now defunct Tel Aviv rail station. The train line was built in 1892 and trains ran to Jerusalem until 1948. The complex includes carefully restored pastel buildings tastefully combined with Israeli designer boutiques, arts shops and restaurants. During the summer months, there are free circus, acrobatics, and theater performances at the outdoor stage every Saturday between 5 to 8 PM. The entire family will enjoy the show. 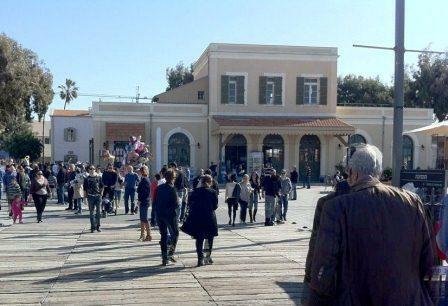 For more information, read about HaTachana - the Old Train Station of Tel Aviv. If you’re interested in fashion, I warmly recommend exploring what Tel Aviv local fashion designers have to offer. From avant-garde, to funky, from casual elegant to classic couture, Israeli designers have boutiques and shops spread all over Tel Aviv, the capital of Israeli fashion. Many of the boutiques of local designers are on the northside of Dizengoff Street, once described as the "Champs-Élysées of Tel Aviv." Some of the chic Israeli fashion designers are - Yosef, Gideon Oberson, Naama Bezalel, Gershon Bram, Sasson Kedem and lots more. In case you come to Israel for a Bar-Mitzvah or a wedding, you may want to consider getting outfitted locally at Tel Aviv shops. You’ll find great fashion at relatively reasonable prices and enjoy the experience. Recently renovated, Shenkin Street is a Tel Aviv institution from which the most exciting music, theater and dance groups of Israel emerged during the 1980s and 90s. Today, it’s one of the most popular Tel Aviv shopping streets. On Fridays, Shenkin is crowded and full of life and it's a perfect opportunity to meet Telavivians shopping and breakfasting in the buzzing coffee shops. This is the right place to come, if you’re looking for trendy clothes, shoes or accessories at reasonable prices. Some of the leading Israeli designers are located on Shenkin - like Ronen Chen, Naama Bezalel and Banot as well as popular Israeli brands like Fox, Castro and Gazit. When Tel Aviv shopping for accessories and jewelry, don’t miss the world famous Israeli jewelry designer Michal Negrin or Daniella Lehavi for her beautiful, handmade-crafted leather bags and shoes. Ralph Lauren, Chanel, Versace, Prada and Gucci, exclusive Judaica shops and high-end jewelry stores. Shopping here is considered quite expensive by Israeli standards, but international tourists who are used to spending money on high-fashion can find here great bargains. Find out more about the Poshest Shopping In Tel Aviv on Kikar Hamedina Square. If you’re looking to escape Tel Aviv’s hot and humid summers, you may want to visit the Tel Aviv shopping malls. The malls offer a wide variety of Israeli and international fashion names. 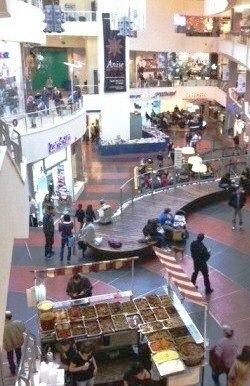 As in the rest of the world, Israelis visit malls often so it’s a good chance to people watch too. The most well-know mall in Tel Aviv is the mall in the picture to the left - Dizengoff Center - that was built in the eighties. The newer malls in Tel Aviv today are the Ramat Aviv Mall near the Tel Aviv University and Diaspora Museum; and Azrieli Center, a uniquely structured shopping mall located in the highest building in the city. There are other malls just outside Tel Aviv in Givatayim, Herzliya and Ramat Gan.